Klay Thompson and Shaun Livingston connect for your Heads Up Play of the Day! •Released by the L.A. Clippers on July 10, 2008. •Signed as a free agent with Miami on October 3, 2008. •Acquired by Memphis from Miami and waived on January 7, 2009. •Signed as a free agent with Oklahoma City on March 31, 2009. •Waived by Oklahoma City on December 22, 2009. •Signed the first of two 10-day contracts with Washington on February 26, 2010, before signing for the remainder of the season. •Signed as a free agent with Charlotte on July 20, 2010. •Acquired by Milwaukee from Charlotte as part of a three-team trade on June 23, 2011. •Acquired by Houston from Milwaukee on June 27, 2012. •Waived by Houston on October 29, 2012. •Signed as a free agent with Washington on November 15, 2012. •Waived by Washington on December 22, 2012. •Signed as a free agent with Cleveland on December 25, 2012. •Signed as a free agent with Brooklyn on July 11, 2013. •Signed as a free agent with Golden State on July 11, 2014. •Has appeared in 232 career regular-season games with Golden State, the most he has played with any team in his career. •Has six career double-doubles, the last on 3/6/15 in a 104-89 win vs. Dallas (10 points and 10 rebounds). •Dished out at least 200 assists in four-straight seasons (2012-13 to 2015-16). •Appeared in 698 games (184 starts) over 13 seasons with the L.A. Clippers, Miami, Oklahoma City, Washington, Charlotte, Milwaukee, Cleveland, Brooklyn and Golden State, averaging 6.6 points, 3.2 assists and 2.5 rebounds in 21.6 minutes while shooting 48.3 percent from the field. •Appeared in 83 postseason games (17 starts), averaging 7.0 points, 3. 1 rebounds and 2.8 assists in 21.3 minutes while shooting 50.9 percent from the field and 80.3 percent from the free throw line. PERSONAL: Full name is Shaun Patrick Livingston... Nickname is “S Dot”... Parents are Reggie Livingston and Ann Wyman... Has two sisters, Sarah Aupperie-Livingston and Blair Wyman... Sarah is currently a volleyball player at USC... Uncle Jon Baer played professional basketball in Germany... Donated $1 million towards the renovation of a new gymnasium at Concordia Lutheran, the school he attended from kindergarten through eighth grade, in Peoria... Attended the dedication ceremony on campus in November 2016 and saw to it that the building was named after Tom and Ruth Ruppert... Tom was Shaun’s junior high coach and the Athletic Director at Concordia Lutheran for more than 40 years, while his wife Ruth was Shaun’s kindergarten teacher... Recognized by the mayor of his hometown of Peoria during a ceremony where he brought the Larry O’Brien Championship Trophy to his high school, Peoria Central, over the Fourth of July weekend in 2015... 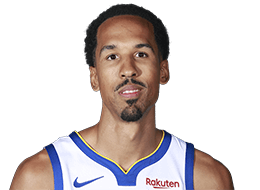 Created the Shaun Livingston Foundation to help give back to his hometown community, including hosting a skills clinic in Pontiac, Illinois, during the summer of 2016, throwing surprise Christmas parties for families and helping victims of a devastating tornado in Washington, Illinois, in 2013... In high school, patterned his game after Magic Johnson and Penny Hardaway... Led Peoria Central High School to Class AA state titles in 2003 and 2004.